This recipe comes to us from our friends who manage The Cocktail Artist blog. We met them at a Virginia Spirits event in Washington, DC. 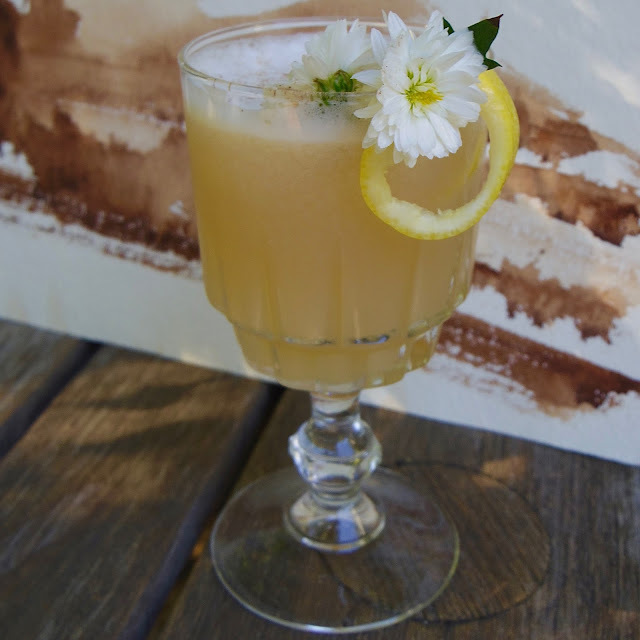 Inspired by the stunning Shenendoah Valley, they crafted their version of the classic "Side Car" with spirits from two Virginia distilleries: Catoctin Creek, Vitae Spirits Distillery. 1Combine all ingredients in a cocktail shaker and shake 30 - 60 seconds until egg white is frothy. 2Add ice cubes to the shaker and shake for an additional 20 seconds. 3Strain into a cocktail glass and garnish with a lemon twist and seasonal blossoms. The Cocktail Artist blog is worth a visit! It's filled with creative cocktail recipes, and each one is accompanied by a handful of lovely paintings that relate to the cocktail. Here's a link to their post about this delicious libation!